Inoxveneta is a long-standing Italian metalworking company operating in the Steel Valley, the engineering district located between the rivers Piave and Livenza, in the province of Treviso (Italy). 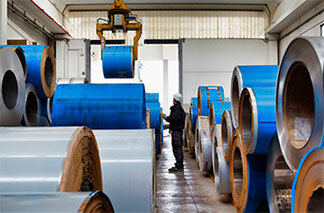 It offers over 40 years of experience in the stainless steel and aluminium processing. Since its foundation in 1972, the company has achieved important milestones in the field of stainless steel and aluminium processing and, thanks to the long experience and the use of cutting edge technology, has become a reference point in the metal sheet and tube processing worldwide. With a strong presence in the international markets, in addition to the Vittorio Veneto factory, in 2014 it has built a new site in Strzelin, Poland. Stainless steel is our horizon, that it’s full of innovative solutions to transform the ideas of our customers into competitive products. 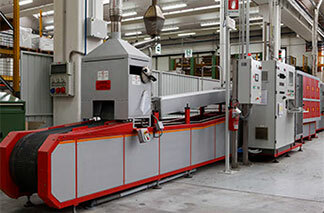 We offer, not only meticulous metal sheets and tubes working, therefore, but also new products developed to create or maintain a strong position on specific markets. We have the ambition to sew for each customer, in addition to specific products, customized service and approach. 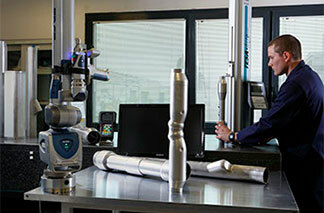 We offer a flexible and tailor made know how in the field of stainless steel machining. I 1992 Installation of MIG welding robots for processing stainless steel components for professional kitchen. I 2010 ISO 14000 Certification. I 2011 Installation of the second hydroforming press. I 2012 Installation of CAM2 Edge ScanArm. I 2014 The new factory in Strzelin-Poland started the production. Installation of the third plant for hydroforming. I 2015 Installation of the first tube bending machine. Installation of a stainless steel annealing furnace. 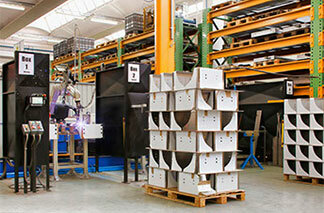 Installation of the first robotic system for metal cleaning. I 2016 ISO/TS 16949:2009 Certification for the Automotive sector. I 2018 Installation of the fourth plant for hydroforming. Experience, strength and flexibility are not enough if you want to offer always efficient answers to the customers. That’s why, first in the market, we believed in the hydroforming technology and we invested in this process to produce stainless steel components. It responds to the new designing needs and offers great performances in terms of functionality and durability. Hydroforming, combined with elastoforming and other traditional technologies, is usable in any industry, allowing us to be even more efficient and our customers to open up to new business opportunities. “Go beyond” this is, for Inoxveneta, its Mission; that means a constant effort to follow the evolution of technology and the markets in which our customers are operating. Facing – day after day – new challenges, always raising the bar and improving themselves. 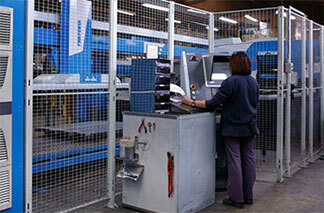 For this reason the metalworking company has set, as its main goal, the INNOVATION. Innovation of the entire technological processes, starting from the engineering to the quality control, but also involving the service, to make more and more interconnected Inoxveneta to the customer supply chains. Stainless steel is perfectly in line with the widespread environmental sentiment: it is a 100% recyclable, corrosion-resistant, durable, hygienic material and its environmental impact is almost nonexistent. 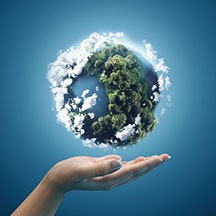 We firmly believe that stainless steel is the key component for a sustainable future: once it was produced, indeed, the further processing does not involve any type of pollutant emission or disposal and regeneration problems. Stainless steel products and equipment, at the end of their lives, are separated and recovered to be included in the recycling process. Would you like to learn more about the new frontiers of stainless steel processing? Contact us, our technical experts in tube and sheet machining will help you exploring new areas of application of these materials and technologies. Thanks to our methodical approach in seeking the best solutions from the organization and production point of view, using the necessary technologies to achieve optimal efficiency, we have become the reference point for those are looking for useful partnerships. Ask for advise!